Passionate about cider and driven to succeed, Amelia and Matt started Apple Falls Cider Company. Their cider uses 100% Campbell’s Orchards apples, hand picked from the family farm. The exceptional quality of the apples from Campbell’s Orchards directly ensures great tasting cider. After successfully completing their post-secondary education, Matt and Amelia visited London, England. While they were exploring the culture in London, they stumbled upon traditional hard apple cider. From then on, they were hooked. On their return, they started experimenting with different blends of apple varieties from the family farm. Their recipe was perfected over many bottles shared with family and friends. They were destined for cider-making, obsessed with achieving exceptional taste using just one ingredient, apples. 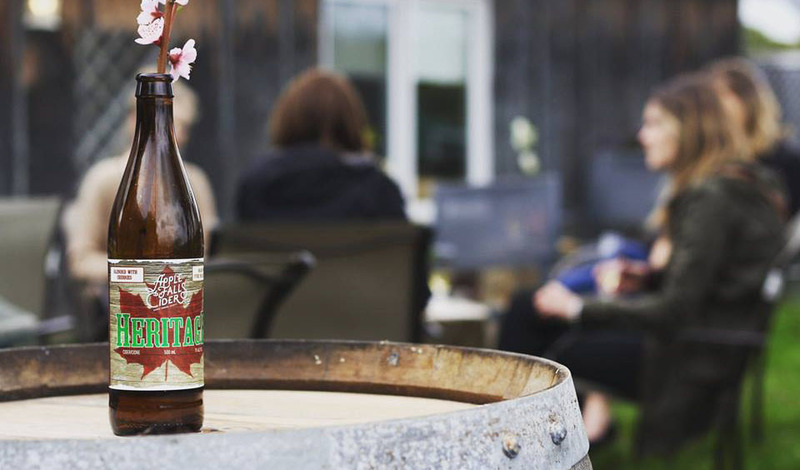 Experience Apple Falls Cider at The Great Canadian Cheese Festival, featuring 150 Canadian artisan and farmstead cheeses on offer, plus 200 specialty foods, not-to-mention small-batch wine, craft beer and cider, spirits and food-related artisan products.